Custom glass shower doors glide along a top track. 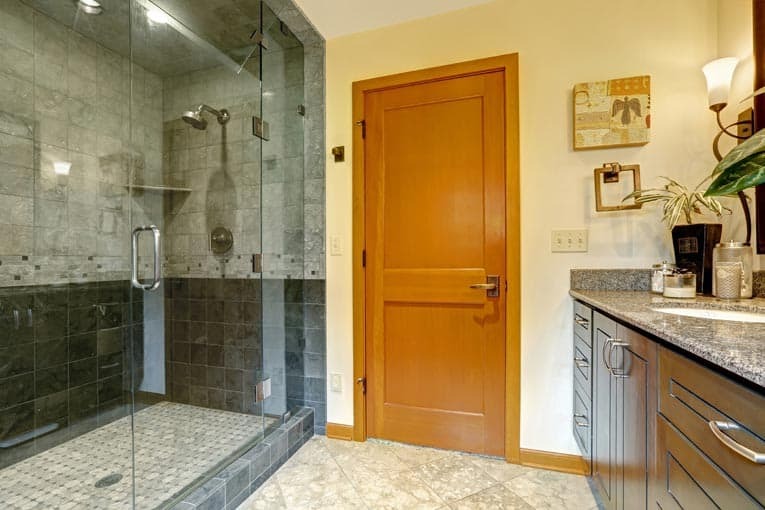 These doors provide an elegant, almost transparent barrier between room and large, open shower. Though a shower curtain may serve as a decorative element in the bathroom and can keep water from splattering onto the floor, a shower door is a far more efficient, easy to use, and permanent solution for containing the water in the shower. It’s also much more likely to prevent water damage from occurring over time. Prefabricated showers are often produced with integral doors—when you buy the shower unit, the door comes with it and is made to fit tightly. 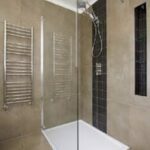 But for existing showers or bathtubs that require a door, or a custom shower installation, you need to choose a shower door that will work—or have one custom fabricated. 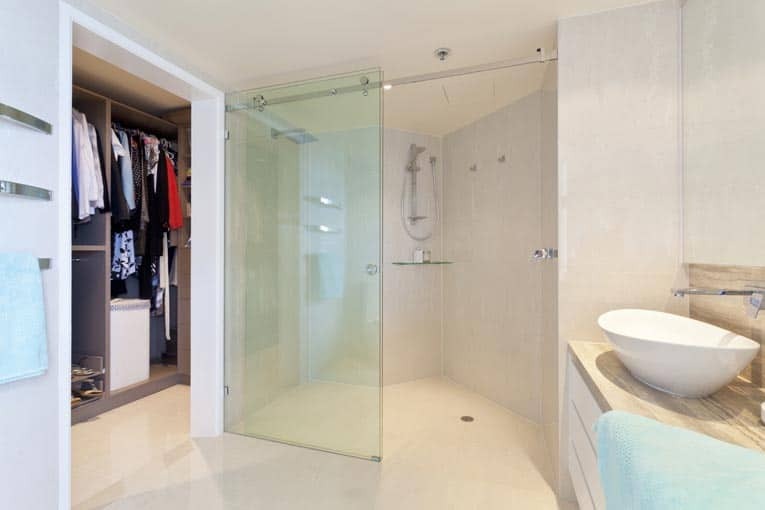 This steam shower has a floor-to-ceiling glass wall with hinged glass door. All glass is tempered. This type of installation is fabricated by a custom shower door dealer. 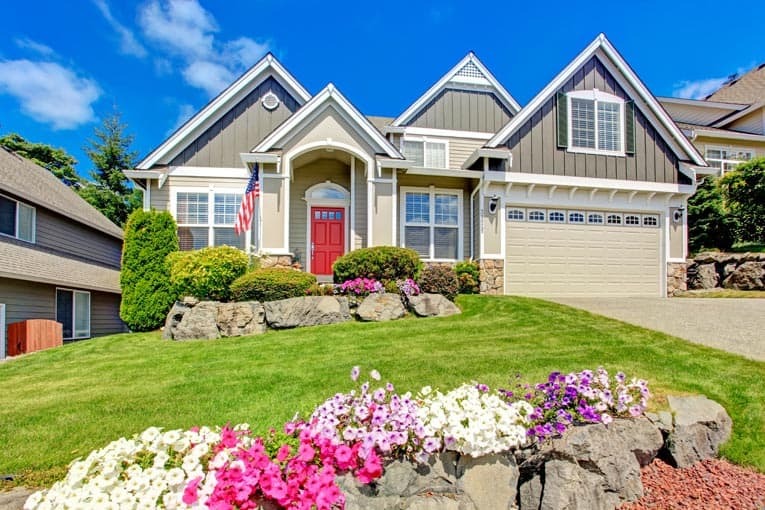 Fortunately, many options are available from major home improvement centers such as Home Depot and Lowe’s. 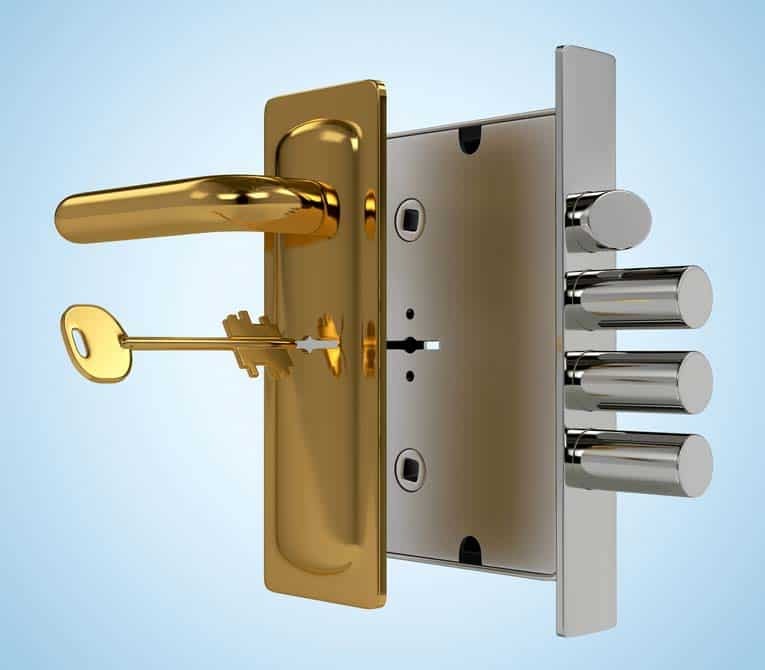 Or, you can look up Shower Enclosures or Glass Dealers in your phone book or go online to find a local shower door pro. An many cases glass dealers/installers can build a shower door for you. By visiting their showrooms, you can browse a raft of possibilities. Shower doors operate several different ways—they may swing open, fold back, slide, or pivot. Some are all glass and are hinged directly to the shower entrance. Others are framed with aluminum in any of several finishes, including chrome, brass, and epoxy-coated colors. 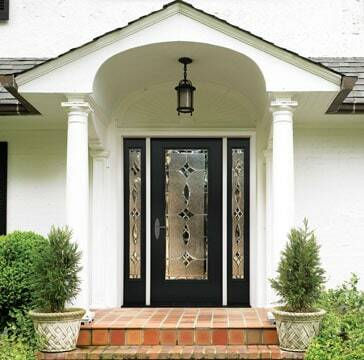 Though some doors are made from inexpensive plastic, opt for more durable materials. For safety and to meet building codes, glass should always be tempered. 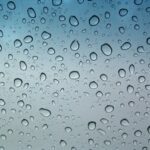 The glass may be clear, frosted, mirrored, or patterned. A door for a steam shower, is different than a conventional shower door because it is designed to seal completely (so the steam doesn’t leak out of the shower enclosure). 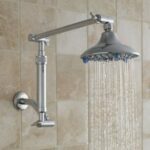 For more about steam showers, see Steam Showers.